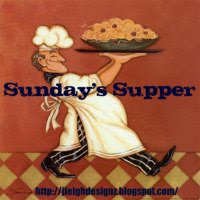 So, this is my first week of Sunday’s Supper! I hope you get inspired and join along. If not that’s okay too! Every week I will share a new recipe with you as I try to find new meals for my family. Once cooked drain, keep warm. Or make while doing the rest. I did not know what fusilli pasta was. I didn’t find it in a box. This is what it looked like. Much like Rotini in my eyes. Next take cornstarch and salt in a small mixing bowl. Whisk it together and then add in chicken broth. Take your lemon and zest all its skin off. Add zest to cornstarch mixture. Wisk and put aside. Press garlic. If you don’t have a garlic press do what I do. Put in between 2 pieces of a paper towel grab a can of speghetti-o’s and smack it flat. You can peel it easily and add it in the pan. Add 2 tsp vegetable oil with it. Cut chicken into bite sized pieces and add it as well. Next cut your red pepper and carrots. Make the peppers around one inch in size. By the time you cut up your veggies the chicken should be done. Take it out and dump it into the old pasta pan to keep it warm. Add 2 more tsp of vegetable oil. Add carrots. Stir fry them for 2 mins. Then add broccoli flowerets. If your like me and cheated by buying the frozen precut broccoli flowerets – add them with the carrots. Add bell pepper. Stir fry it all together for another 3 minutes or until crisp-tender. Add chicken back in and toss around. Add chicken broth mixture and stir all together. Bring to boil, once boil is reached reduce heat to medium. Cook until the mixture slightly thickens. Stirring occasionally. I also felt bad for the stripped lemon on the counter so I cut it in half stabbed it and squeezed the lemon juice of one half in. Remove from heat and put in serving bowls. If you have pasta bowls these are perfect! Then take your Microplane 4 sided box grater and grate some fresh Parmesan cheese over your pasta. Me: I loved it! I even took the leftovers to work the next day. Anyone who knows my family knows the only left overs we keep are from Mac’n’Cheese! Heated up great! Will make again! Hubby: Wasn’t his favorite. Would eat it again. Wouldn’t want it on a regular schedule. Kids: Weren’t liking this meal at all! I got this recipe from the Pampered Chef Main Dishes Cookbook. This book has been discontinued but its one of my favorite cookbooks! I found a sweet deal for it here on eBay, and I mean sweet! Sounds and looks delicious…. Love the lemon in it and AA loves pasta, so the whole family should like it. Thanks!